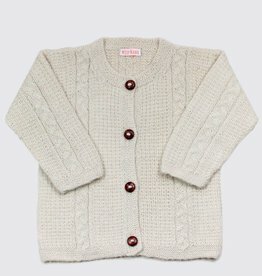 Hand-knitted cardigan in soft white with a round neck and four wooden buttons. 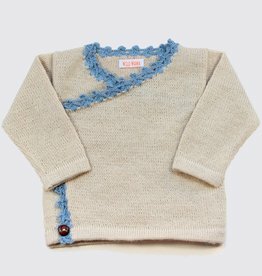 A natural colour without colourants. 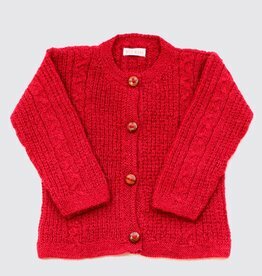 Hand-knitted red alpaca wool cardigan with round neck and four wooden buttons. 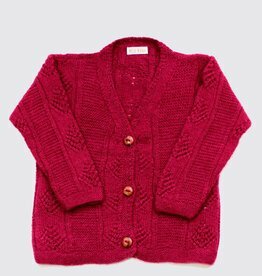 Burgundy red alpaca wool baby cardigan with v-neck three wooden buttons. 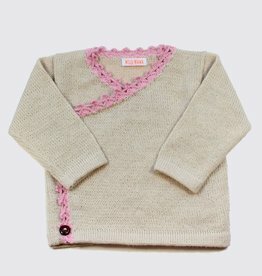 Alpaca crossover cardigan in soft white with pink crochet and two wooden buttons. 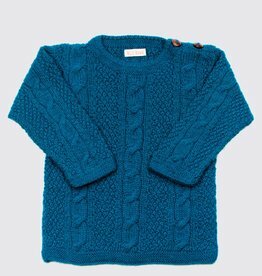 Alpaca cable sweater in turquoise with v-neck and two wooden buttons on the left shoulder. 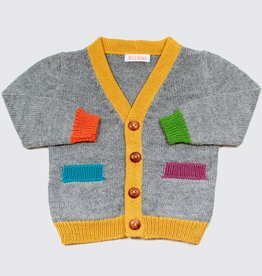 Alpaca cardigan in grey with colourful accents and four wooden buttons. 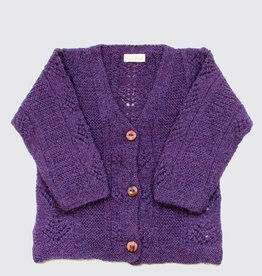 Hand-knitted purple baby and toddler cardigan with v-neck and three wooden buttons.